The Lord called Gracie Mae Smith home on February 5, 2019. Gracie Mae, who was affectionately known to family and friends as “Mama”, “Nana” and "Grace," passed away at the age of 97 years in Antioch, California. Grace was born July 15, 1921 in Swartz, Louisiana to Mary Johnson and Willie Howard. She attended Laney College in Oakland, California, obtaining a nursing degree in Licensed Vocational Nursing. She was baptized in the Baptist faith early in life and enjoyed reading her bible daily. 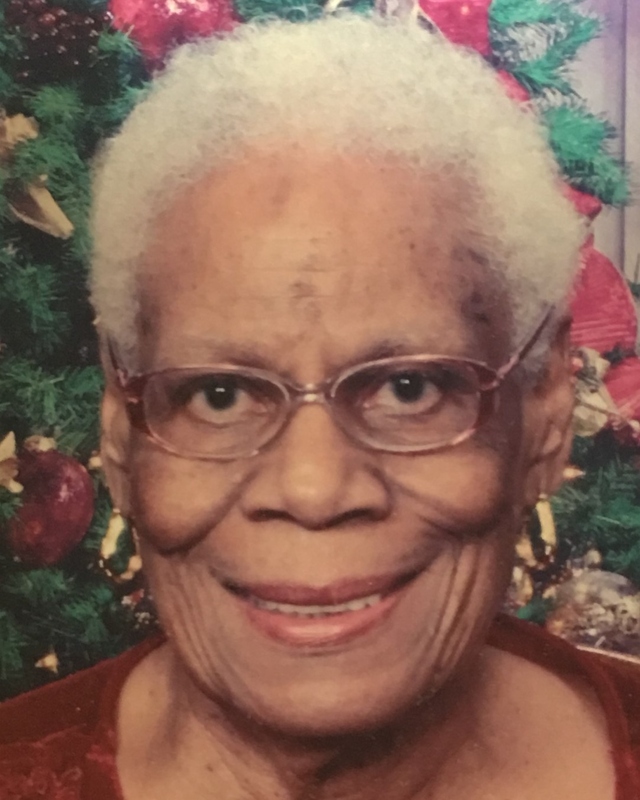 Grace worked in the nursing field at Highland and Peralta Hospitals in Oakland, California, and with the Professional Nurses Bureau while working at several nursing homes. She retired in 1983 after working over 25 years in the medical field. Grace enjoyed going to casinos and attending family gatherings. She was an amazing cook, bringing her southern cooking expertise from Louisiana, and she taught her daughters how to cook and bake without written recipes. She adored spending time with her family, especially her daughters and grandchildren, and many, many friends. She is preceded in death by her parents, Willie and Mary Howard; son, Harold Gibson; and granddaughters Cynthia Williams, Nicole Gibson and Sherri Howard. Grace leaves to remember her with love, her children, Celestine Galbert (James-deceased), Andrew Howard, Brenda Booker (Vernon), Cassandra Chappel (Melvin) and Cecilia Belue (Eric); her daughter-in-law Shirley Howard, adopted daughter, Betty Center and adopted granddaughter Rose Miller; her grandchildren, Andrew Howard Jr, Antoinette Howard, Trina Howard, Robbie Jordan, Heather Sims, Eric Chappel, Talela Belue Sulaiman, Andre Booker, Erica Belue Rose, Monique Chappel, Angilia Booker, Shawn Howard, Jasmine Howard and Alexander Howard; her 26 great-grandchildren, 3 great-great-grandchildren, and nieces, Barbara Muse (Ray) and Rea Frances Howard. She also leaves behind many other family members, claimed children and friends. A public visitation will be held on Sun. Feb. 17th from 2 – 5 pm at the Higgins Chapel and a funeral service in Grace’s honor will be held on Mon. Feb. 18th at 11:00 am, also at the Higgins Chapel, followed by a graveside service at Rolling Hills Memorial Park at 1:30 pm.